Geeetech Prusa I3 M201 is the 2-in-1-out version of our latest Prusa I3 series 3D printer. This is a fused filament fabrication printer, easy to use and also designed for DIYers and professionals alike. The M201 features our newly engineered the 2-in-1-out switchable hotend, that feeds 2 filaments through one nozzle. With the new 2-in-1-out hotend the M201 can work like a color palette, providing a new level of expression with your prints allowing you to create alternating colors, blending color and gradients. In order to achieve this we optimized the firmware that is driven by our newly developed GTM32 control system, which is based on the STM32 processor and paired with the ARM Coretex M3, running a dominant frequency of 72MHz, greatly improving the overall printing performance. We added a new feature, the Mixer, to the interface to control the percentage of the feed rate of the two filaments. In order to achieve more kinds of printing effects and more gradient styles, we add a practical feature to the latest Firmware to customize gradient template, thus we can set different gradient color effects. 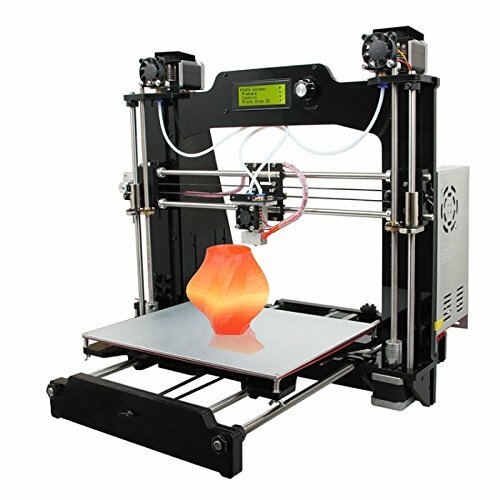 This M201 3D printer maintains DIY property, with which you can unleash your creativity to refit or modify it as you like. This kit is just the beginning; you can get more out of it. If you have any questions about this product by Geeetech, contact us by completing and submitting the form below. If you are looking for a specif part number, please include it with your message.